Amazon Echo and Google Home have crossed over from the early adopter phase to each finding a place within the mainstream culture. Both are functional, but if you're like me, you still might not be convinced which assistant is right for you — that's why I've got both Alexa and Google Assistant speakers set up in my home. If you find yourself in the same boat, it may be important to buy smart home accessories that are compatible with both AI assistants, and these smart plugs are a great place to start. The Kasa Smart Wi-Fi Plug offers an outlet on each end, allowing you to control two separate devices while leaving the second plug on your wall outlet free. This plug works with Alexa and Google Assistant and thanks to the built-in Wi-Fi technology, no hub is required to get things connected. You're able to control devices plugged into the D-Link Smart Plug via the D-Link app on your phone from anywhere, but more importantly, you'll be able to control things with your voice via Amazon Echo or Google Home. 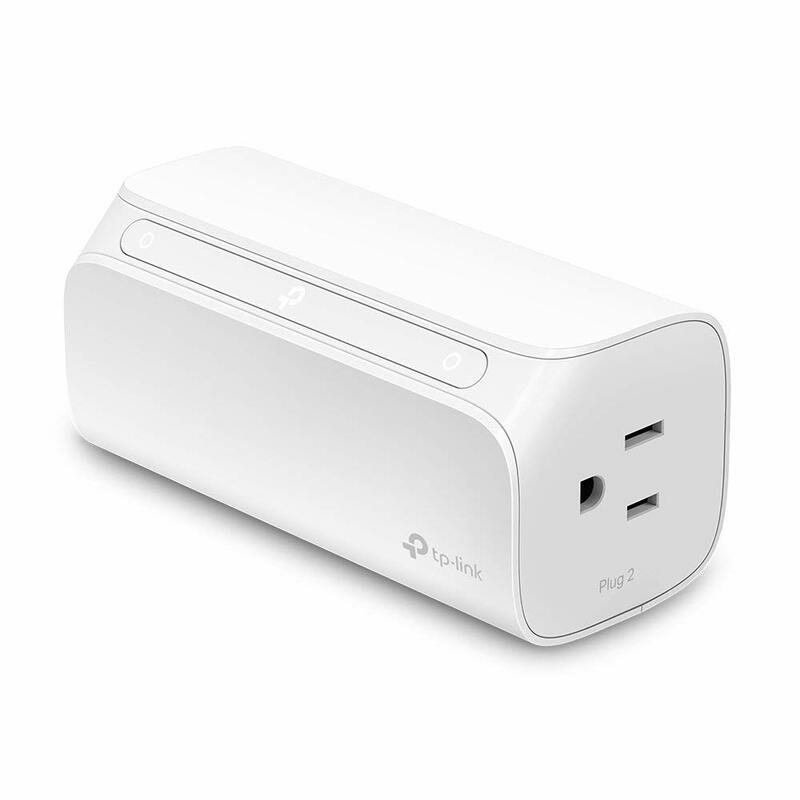 While not as compact as the TP-Link, the D-Link is still a great option for any room in your house. 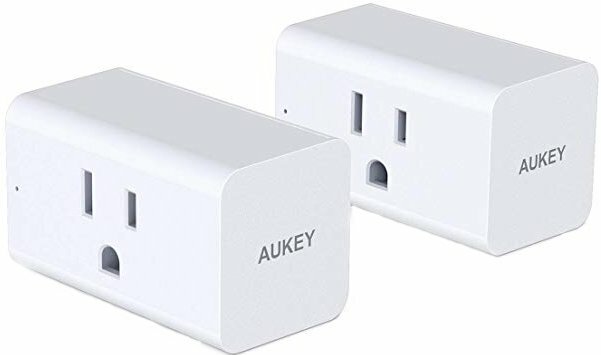 AUKEY is known for making affordable and reliable accessories, and you just won't find a better deal for smart plugs than this two-pack. These compact smart plugs are easy to set up in your home and work with Alexa or Google Assistant without needing a hub or subscription service. 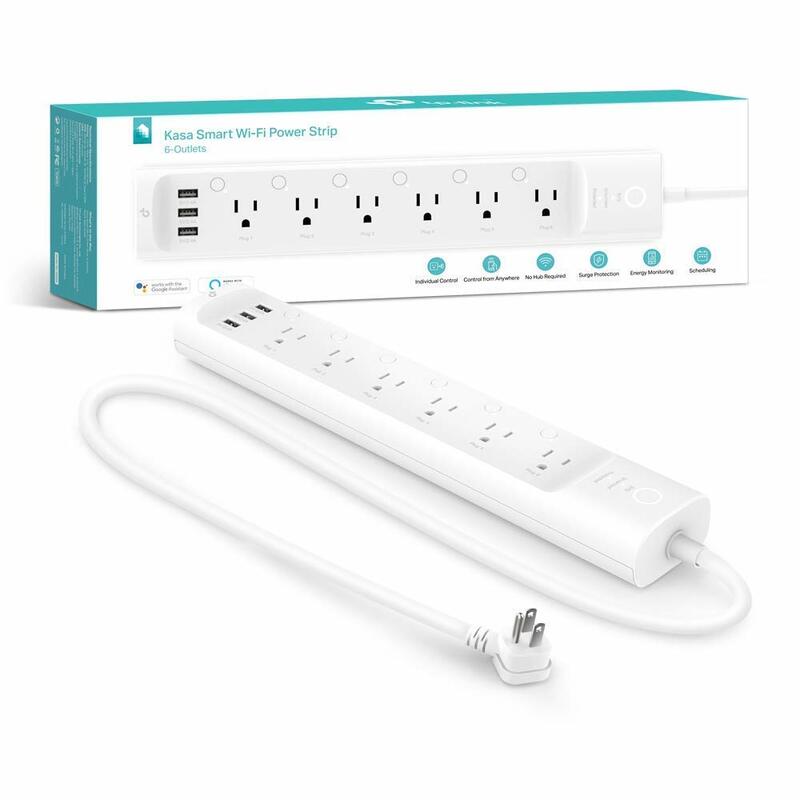 Instead of one smart plug, why not get a smart power strip that lets you plug in and independently control up to six different devices using Alexa or Google Assistant! You get proper surge protection built in along with three USB ports for charging even more devices. Samsung's SmartThings is a very capable and customizable smart home system that serves as a platform for a wide, wide array of sensors, speakers, thermostats, cameras, and of course, smart plugs. The SmartThings Home Monitoring Kit comes with a Hub, two Multipurpose Sensors, a Motion Sensor, and an Outlet. AWAIR has combined a smart plug with its own air filtration technology to create an uber-functional smart plug. It plugs into an outlet and can be set up to turn on an appliance such as a dehumidifier or air filtration system at a specific time or if air quality drops. Once connected to Google Home or Alexa, you're also able to use the AWAIR Glow to control whichever device you have plugged in using just your voice. Whether you rely on Alexa or Google Assistant — or both — these smart plugs will make your home a smart one. In my experience, the AUKEY Smart Plug Two-Pack is absolutely your best bet if you're looking for reliable products at a great price. They've worked out great around my home and price out to just $14 each.